Jackfruit kheer is a popular sweet in Kerala. The main ingredient of this kheer is chakka varatti or jackfruit jam. 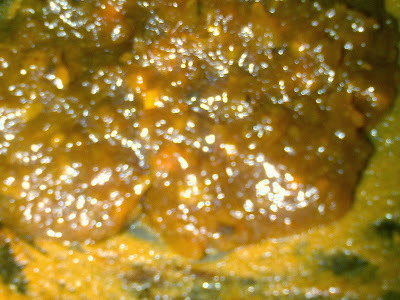 This jackfruit jam is made by cooking ripe jackfruit with jaggery and ghee. Chakka varatti lasts for over an year without loosing its taste. We make chakka varatti during the jackfruit season and use it through out the year for making ela ada, jackfruit halwa and other sweets. Here I am adding cashew nut balls for a crunchy taste. Cook the jack fruit in pressure cooker by adding a cup of water. Add more water if required. Pressure cook till the jack fruit is mashed. Grind the cooked jack fruit. Heat a deep bottomed pan, add the jaggery and add some water till it gets completely wet. Allow the jaggery to completely dissolve in water, filter it to get rid off dirts. Again boil it and add the ground fruit and mix it well. Keep on stirring till it becomes thick. Now add ghee to it little by little. After sometime, it will not stick the pan and now remove from heat. Dry roast and chop the cashew nuts. 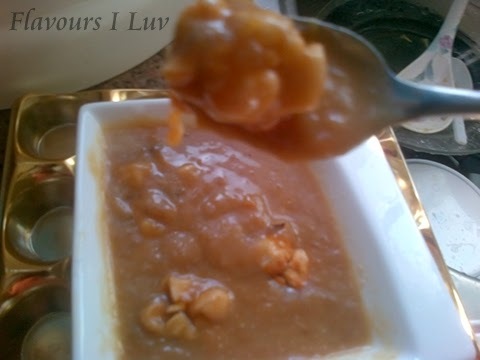 Melt 1 tbsp jaggery, then add chopped nuts into it and keep stirring until dry. Allow it to slightly cool and make balls with it. 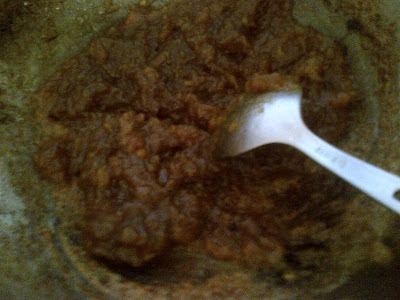 Melt remaining jaggery in 1/2 cup of water and when it starts boiling add chakka varatti. Mix well to become a sauce, simmer heat and add coconut milk, chukku and powdered cardamom. Keep on stirring to avoid curdling. Remove from heat when it starts boiling. Add cashew balls just before serving. Ohff this my favorite payasam... looks so yummy!! All the effort put in to make chakka varatti pays off with the taste of the payasam right! !